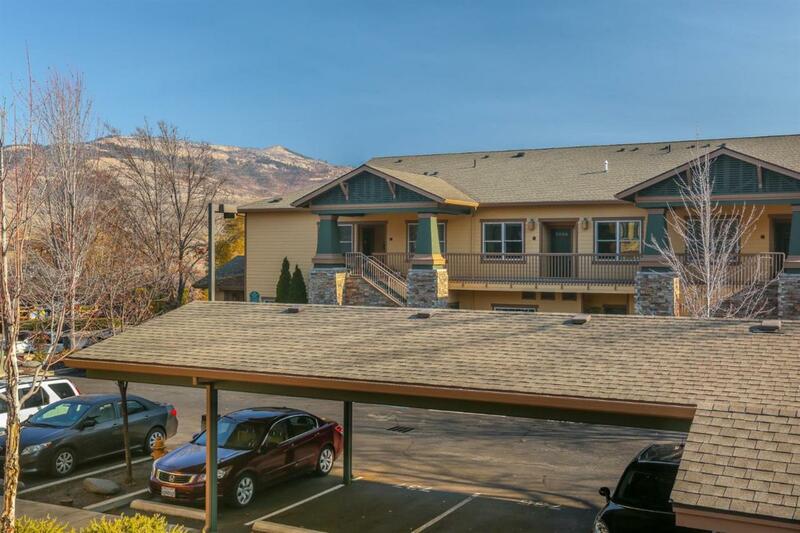 Nice quality condo with Grizzly Peak views close to downtown Ashland! This rare Hillview Residences condo has never been on the market before. One of the largest condos in the development it has two spacious bedrooms and an oversize bathroom. Enjoy granite countertops, an open floor plan, and all the appliances are included. This unit has it's own designated covered parking spot, a storage unit under the stairs, and it's just across the street from the Breadboard Restaurant, a local's favorite. The HOA is professionally managed and the low dues of $137/mo cover landscaping, common areas, and exterior maintenance.